Jim didn’t follow the normal route to the entertainment business, having served 22 years in the US military. But after spending time in Iraq and using humor to get through stressful situations and to relax his troops, Jim decided to try his hand at stand-up comedy. Walking into his first open mic, he was told by the host he had two and a half minutes to make people laugh. Much to his surprise, they laughed and he never looked back. The truth is, though, Jim shouldn’t be a comic. His parents never divorced. His wife loves him (we don’t know why either, but we know it isn’t for money), his kids are relatively well adjusted. He wasn’t bullied in school. He doesn’t need a therapist. He’s never even been to jail for Pete’s sake. But despite all these major disadvantages, Jim has overcome his doubts and fears of being normal and managed to make people laugh at the reality of everyday living. His quick wit, take on kids, marriage, military experiences, travel and his memories of dating in the 80s takes the audience on a non-stop ride of laughter . 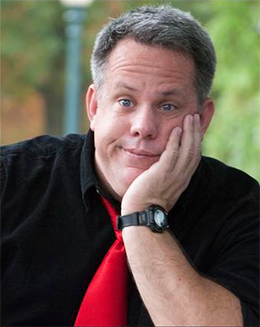 Jim has a versatile range of topics that make him ideal from anything to a comedy club to corporate work to a kid’s birthday party. He’s even performed in churches and not been struck by lightning.